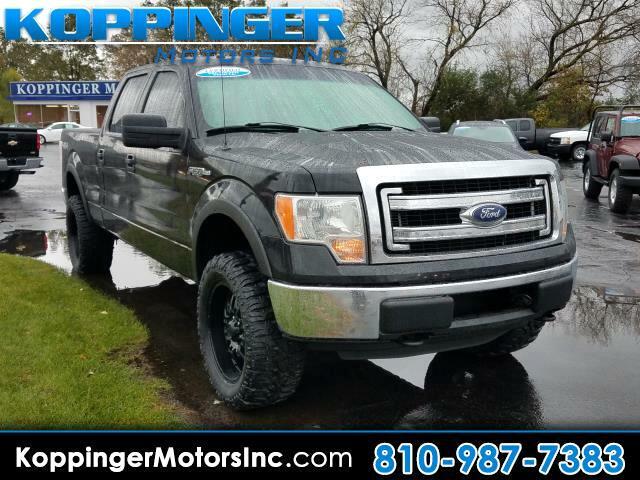 Used 2013 Ford F-150 4WD SuperCrew 145" XLT for Sale in Fort Gratiot MI 48059 Koppinger Motors Inc.
After you get a look at this beautiful 2013 Ford F-150, you'll wonder what took you so long to go check it out! This F-150 has 116831 miles, and it has plenty more to go with you behind the wheel. It was cleverly designed with details that make every drive a delight, such as: 4WD,side steps,power windows,power locks,blue tooth and mp3 audio input We won't sell you a vehicle that we wouldn't sell our family. Don't risk the regrets. Test drive it today! Visit Koppinger Motors Inc. online at www.koppingermotors.com to see more pictures of this vehicle or call us at 810-987-7383 today to schedule your test drive.